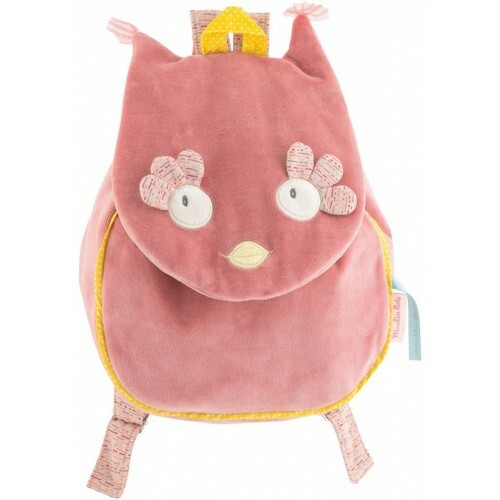 Here is a nice pink backpack, like the rest of the Mademoiselle et Ribambelle collection dedicated to little girls. It is both cute and practical since it has adjustable straps and a flap. This flap is the face of the iconic owl in the collection, a nice , coquette and friendly little owl . Another plus: Moulin Roty offers to customise this nice backpack with your child's name embroidered on it to make a truly personalised gift!